Lynn University online provides an intellectually stimulating environment where students gain knowledge and competencies necessary to become global leaders and lifelong learners. Lynn seeks to enhance the career advancement of working professionals and offers graduate degree programs that can be completed completely online. 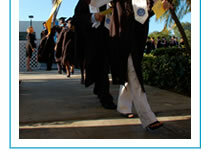 The graduate programs at Lynn reflect increased levels of complexity, requiring students to analyze, examine, question, synthesize and conduct research; to think creatively and problem solve; to develop appropriate communication and information technology skills; and to engage in active, collaborative and individual learning activities. The curricula of the university's graduate degree programs are reviewed on a regular basis to ensure the academic quality and relevance of course offerings. The university is committed to individualized student attention and mentoring. Faculty members foster and help learners realize the development of their innate leadership talents and intellectual abilities. Students can expect the same quality education online as found in an on-campus classroom. Courses are asynchronous, interactive and collaborative. Lynn uses Blackboard® software, a course management system that allows 24/7 student access to syllabi, documents, videos, discussions, and other course materials. Individuals who are new to online courses can request to receive tutorials and instruction to help become acclimated to the Blackboard® system. You can expect top-notch support from our library system. Graduate student requests are routed to a dedicated Lynn University librarian. Request submissions are reviewed and processed digitally or by telephone. The library supports the university's academic programs by providing learning resources and services that meet the information needs of students and faculty. The library serves as the academic nexus of the campus, by providing a vibrant one-stop place for students and faculty to study, read, write, watch, listen, meet, research, learn, and socialize. The library's electronic resources are vast. A carefully selected collection of research databases containing 76,000 e-journal titles, biographies, reference books, statistics, images, and more is accessible through the library Web site. The library also has more than 99,000 e-books that are accessible via the Web. Up to six hours of graduate credits from a fully accredited graduate school may be transferred into the M.B.A., M.Ed. and M.S. based on specific criteria such as G.P.A. and course relevancy. Transfer credit will be awarded only for those courses that are comparable in title and content to those in the Lynn University Catalog. Credits taken at schools not accredited by one of the regional associations will be evaluated only after a student has submitted a school catalog and a course syllabus for each. In certain instances, competency testing may be required. Financial aid is available to those individuals who qualify. Since financial aid is limited, applicants are encouraged to apply as early as possible. Lynn University is an independent, nonprofit, co-educational, residential university chartered by the state of Florida and accredited as a Level V institution by the Southern Association of Colleges and Schools. Want a career in management for a government, nonprofit or community organization? The public administration program can help you achieve just that. Here, you will study topics such as economic development, privatization, regulatory and public policy, government ethics and more. With Lynn's iPad-powered learning you can take courses conveniently online. And, you can earn your M.P.A in as little as one year. Earn your online master’s in communications and become a leader in the communication and media field. As a student of the media studies and practice specialization, you’ll learn to analyze and understand the media like an expert. And right away, you’ll get hands-on experience in becoming a master practitioner. You’ll edit, design and shoot video to produce visual messages like a pro. Earn your master’s degree in communication and media while learning how to become a successful web designer and coder. In the M.S. in Web Design Strategies program, digital media and communication aspects are combined with Wyncode’s immersive web development program. The combination of the two programs are designed to develop successful coders and designers with business acumen. In the Wyncode Academy, you’ll be immersed in a demanding learning environment by beginning each class with an instructor-led session followed by practical project-based work, as well as business development and individual mentoring sessions. By completion of the program, you’ll know how to build a full-stack web application. As a student of the exceptional student education (ESE) program, you’ll be guided by expert faculty as you study diverse theories and engage in discussions regarding federal, state and local governances in special education. Plus, you will develop and implement strategies in order to assist students with various learning differences and participate in our annual Transitions Conference. After graduation, you can go on to become a special education teacher or pursue a high-level career as a director of exceptional student education. This program is certified by the Florida Department of Education. Students who pass certification courses will be endorsed in reading, English speakers in other languages and autism spectrum disorders. In this program, you have the option of online, blended or on campus learning. 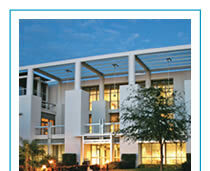 This is the only master's program of its kind in Florida. As a student at Lynn, earning your Ed.D. helps you become a leader in metropolitan education systems for grades kindergarten through 12. This convenient program allows you to attend class one weekend a month, which is perfect for working professionals. With the doctorate in educational leadership program, you’ll work within a small group of scholar-practitioners and delve into research, discussions and field assignments. Earn your Ed.D. 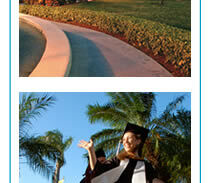 at Lynn and learn from distinguished faculty with extensive experience in the field. Online, campus or blended format.